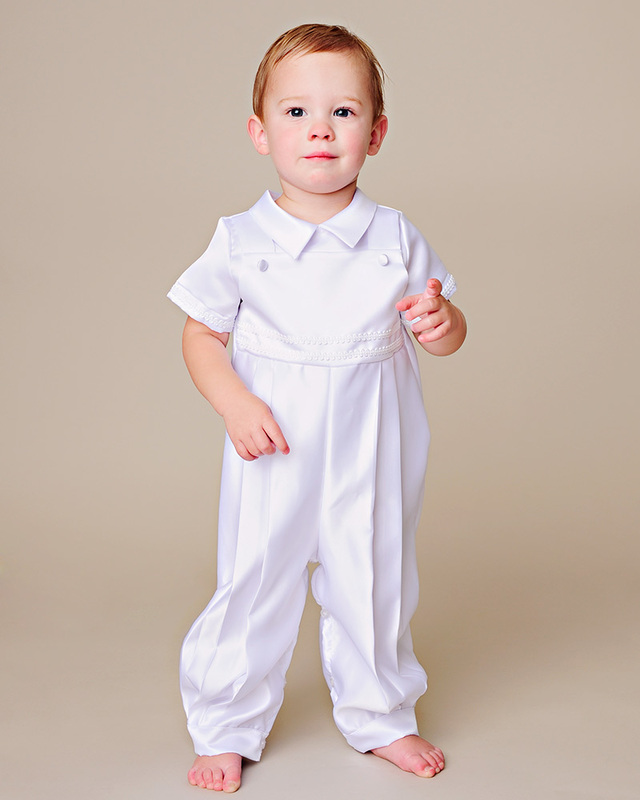 I’m not sure what’s going on with the color on this picture, but I wanted to load it up anyway–this is our new boys’ satin christening outfit, and I’m so tickled to have it on the site, ready to ship. It’s been a pet project of mine for a while now, and one of my favorite things about this job is seeing an idea blossom and transform into something that will become a treasured heirloom. 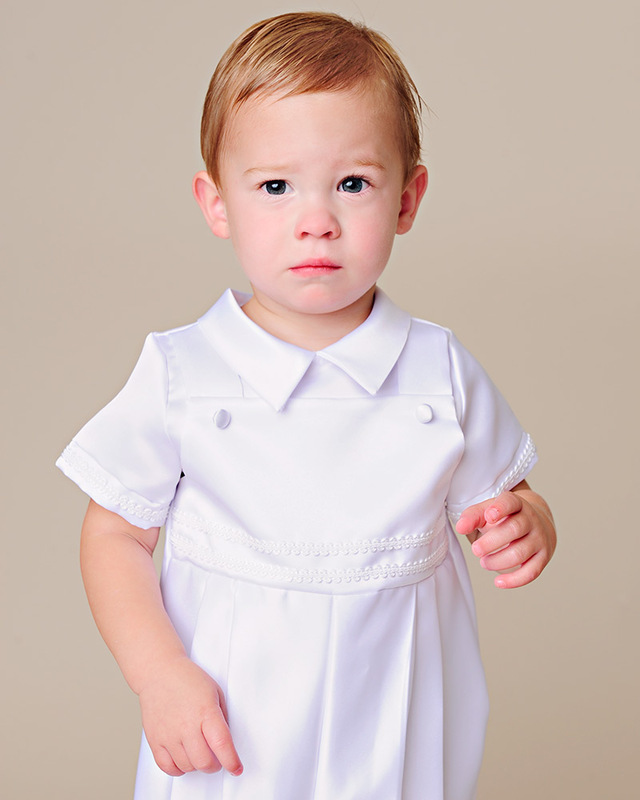 With short sleeves and long legs, this romper is a great fit for year-round christenings–a nice, soft mid-weight satin with classic details (just add a sweater if the weather’s cool). The braid trim detail is just gorgeous but done in a way that keeps the overall look masculine. 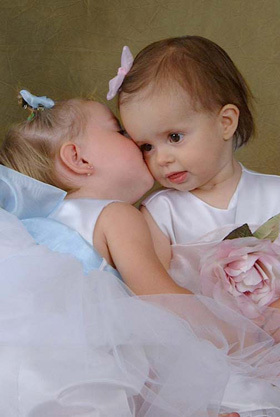 And here’s a bonus: if you happen to have twins, or want your new little boy’s outfit to look similar to the gown his big sister wore (or vice-versa), Sawyer looks stunning next to our Satin Christening Gowns. Have you heard? 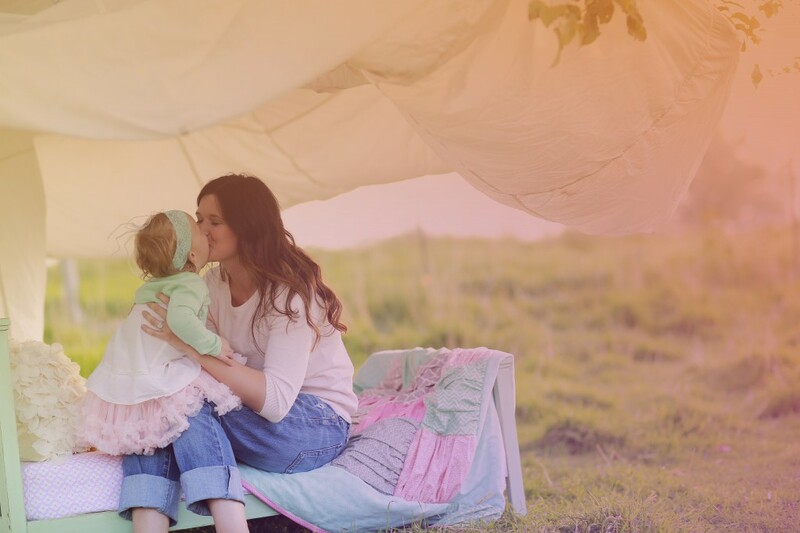 New things are happening over at One Small Child! We are happy to announce that we’ve just added Paypal as a payment option for our site, and more changes are coming…stay tuned for some exciting new products and services.